The reason why Calaveras are traditional on events like Dia de Los Muertos, is to show how a person had passed along with showing some personal traits, Like what was there favorite activity or what they liked to do for hobbies. What was your calavera about and do you think you were successful. 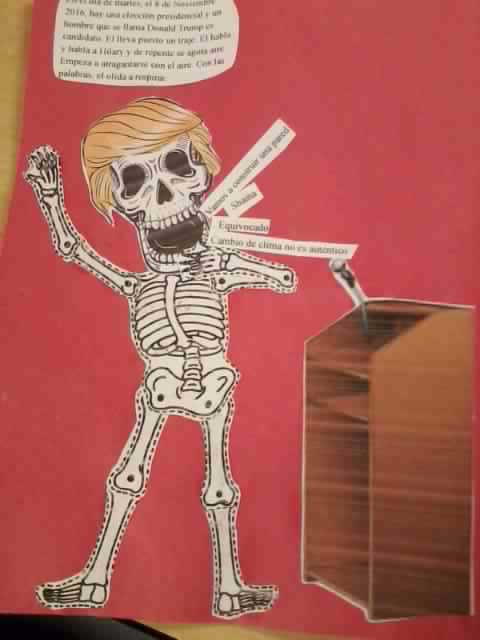 My calavera was about how Donald Trump choked on his own words and died. I also felt like I succeeded in this project because I spent a solid 1-2 hours out of school working on it to make sure it is in good condition to turn in.